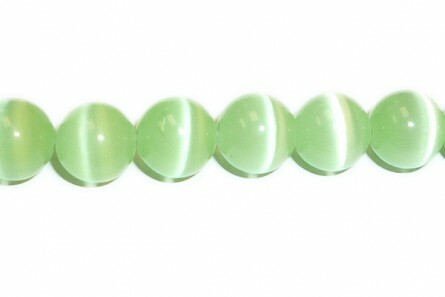 Fiber Optic Beads are also know as Cat`s Eye Beads. They are man-made and change color depending on the reflection from light. Fiber optic beads come in a wide range of colors and styles and are a very affordable bead. They are often used in children`s jewelry designs because of their cheap price and vibrant colors.